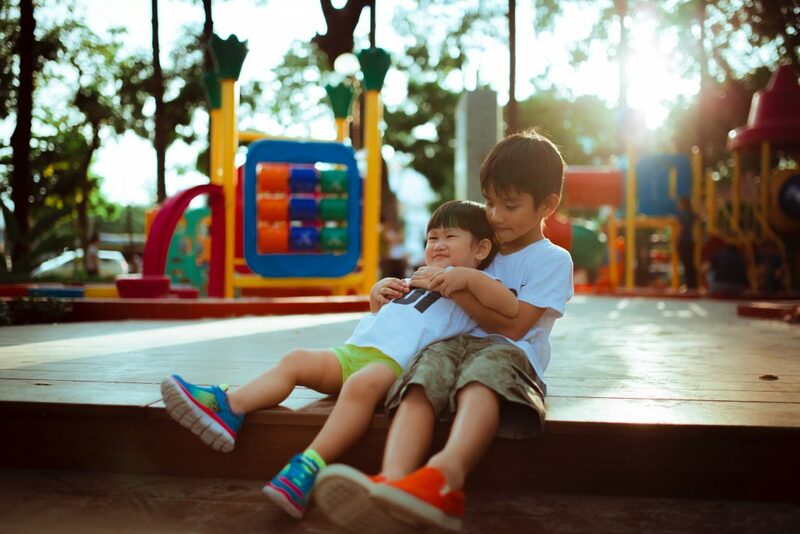 Playground fun with your family and friends is one of the greatest joys of childhood. Seesaws, slides, jungle gyms, merry go rounds, they’re all fun. However, there is more to the jungle gym than meets the eye. A kid climbing a jungle gym is not only having fun, they’re also getting physical exercise, and practicing three-dimensional mathematics. Here is the story of how Sebastian Hinton’s father, Charles Hinton, inspired the invention of the junglegym in 1920. Charles Hinton wanted to help his children understand three-dimensional space and mathematics better. Charles accomplished this goal by building a three-dimensional grid out of bamboo poles that his kids could climb up, down and around. He would call out X,Y, Z coordinates and his children would race to get to that location first. Sebastian loved scrambling around like a monkey and decided to carry on the tradition with his own children. Sebastian impressed a school superintendent with how his junglegym incorporated more physical education into the school curriculum. How parents use jungle gyms and the way jungle gyms look have evolved since Charles Hinton built his prototype, but children still love them. Until 2010, if you lived in the area of Crow Island School in Winnetka, you could still climb on a jungle gym based on the second prototype of the jungle gym. Now it is permanently on display in the backyard of Winnetka Historical Museum. Who knew that such a fun toy was actually originally designed to make Cartesian Coordinates and three-dimensions mathematics tangible, understandable, and fun for children. Im not sure where you’re getting your info, however great topic. I must spend some time learning much more or figuring out more. Thank you for excellent info I was searching for this information for my mission.